This page contains downloadable resources that we would like to make easily available. ACT UP Dublin is a Community Partner with the Prevention Access Campaign and we endorse their “Undetectable = Untransmittable” Consensus Statement. We are committed to getting the word out that people living with HIV who are on effective treatment and have an undetectable viral load do not transmit HIV to sexual partners. We’ll be producing materials to promote this message and will share them here as we do. 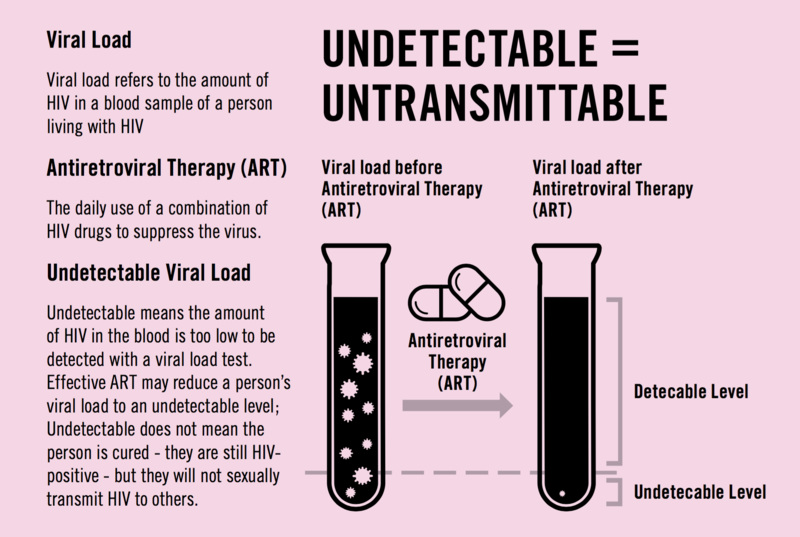 Right now we have a great graphic from Come Out Fighting, our new zine, that explains just what “undetectable = untransmittable” means.